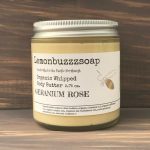 Looking for a soothing, vegan and cruelty-free, moisturizer to calm sunburned or sun warmed skin? Turn to any of the following options (which are also all natural and safe for skin). 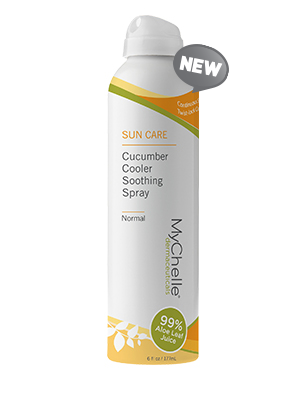 MyChelle’s Cucumber Cooler Soothing Spray is perfect for easing pain and discomfort caused by the sun. It moisturizes and cools skin that’s irritated, burned, and simply not feeling well. A formula of 99% aloe leaf juice, in combination with cucumber extract, hydrates, nourishes, protects, and restores the skin. MyChelle’s Cucumber Cooler Soothing Spray can be used on all skin types and it’s ideal for sensitive skin, as it contains chamomile, arnica, and algae to reinforce natural skin function. For a light after-sun moisturizer, try Kiss My Face’s Olive & Aloe 2n1 Light Moisturizing Body Lotion Air Powered Spray. This lotion, as the product name implies, is a spray-on formula that you can apply in seconds (which is great for instant pain relief). You don’t have to do any rubbing or slathering. Just spray it on and feel better. Kiss My Face’s Olive & Aloe 2n1 Light Moisturizing Body Lotion Air Powered Spray is made with natural antioxidants to provide a layer of botanical-powered healing (and nourishing vitamins). Avalon Organics’ Intense Defense with Vitamin C Oil-Free Moisturizer hydrates and nourishes with a silky soft, non-greasy formula that gives skin a more youthful appearance. A bit of sun is good, but too much can leave skin wrinkled and damaged. When you need ultimate healing or hydration, turn to Avalon Organics’ Intense Defense with Vitamin C Oil-Free Moisturizer. 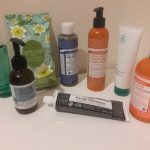 All of these vegan and cruelty-free after-sun moisturizers can be purchased online, on the companies’ websites. 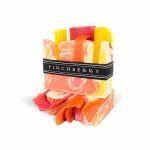 Many of them are available in Whole Foods Market and other health stores.